✔ Universal Mobile Phone Stand Holder for all size Phones from 4.7"-7.48" Length, such as for iPhone X 8 7 6S 6 Plus, Samsung Galaxy S8 Plus S7 Edge Note 8, LG, HTC, Nokia Lumia, HUAWEI, etc. ✔ Compatible with all size Tablet and E-reader in 4.7"-7.48" Wide, such as for iPad Mini Air 2 3 4, Kindle Fire, Amazon Fire, Google Nexus, etc. ✔ Functional lazy bracket for Office, Home Bedroom, Kitchen, Baby Stroller, Bicycle, Car, Gym, other Outdoor or Indoor Use. - Just contact us for solution If you are not completely satisfied with the item, Money Back Or New Replacement From Oenbopo within 90 Days! 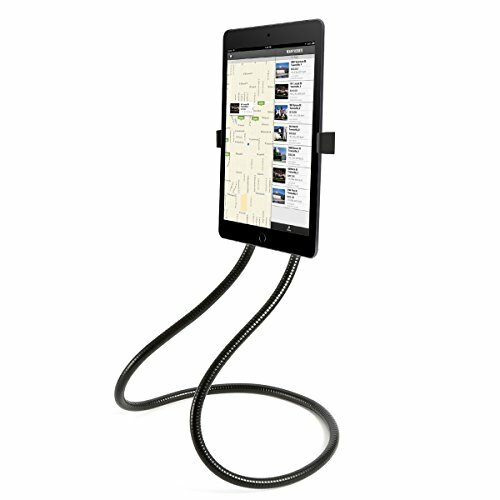 Total Length of Sticks: 45.5"
* For Tablet, this holder can hold tablet from 4.7"-7.48" in Wide tablet and USB charging ports, headphone jack and other button are all accessible. * For Smartphone, it can hold phones from 4.7"-7.48" in length, and can be inserted lengthwise only so it will block the phones USB charging port. If you have any questions about this product by oenbopo, contact us by completing and submitting the form below. If you are looking for a specif part number, please include it with your message.